Three primary kinds of valve actuators are commonly used: pneumatic, hydraulic, and electric. Fluids move throughout processes, driven by pressure produced with mechanical or naturally occurring means. In many cases the pressure generated by the driving source is substantially greater than what may be desired at particular process steps. In other cases, the operation may dictate that a minimum pressure be maintained within a portion of the process train. 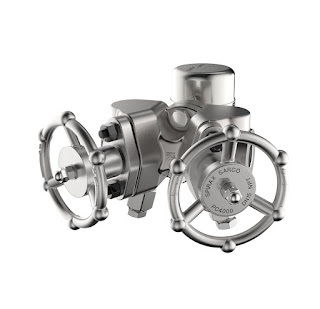 Both cases are handled by the appropriate valve type, designed specifically to regulate pressure. A pressure regulating valve is a normally open valve that employs mechanical means, positioning itself to maintain the outlet pressure set on the valve. Generally, this type of valve has a spring that provides a countervailing force to the inlet pressure on the valve mechanism. An adjustment bolt regulates the force produced by the spring upon the mechanism, creating an equilibrium point that provides flow through the valve needed to produce the set outlet pressure. A typical application for a pressure regulator is to reduce upstream or inlet pressure to a level appropriate for downstream processing equipment. 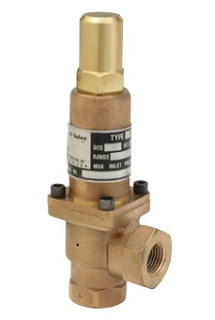 Back pressure valves are normally closed, operating in a logically reversed fashion to pressure regulators. 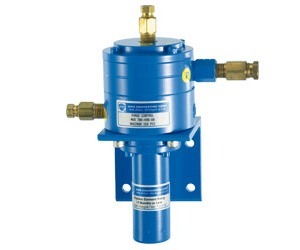 Where pressure regulators control outlet pressure, a back pressure valve is intended to maintain inlet pressure. Similar internals are present in the back pressure valve, with the valve action reversed when compared to a pressure regulator. An inlet pressure reduction in the back pressure valve will cause the valve to begin closing, restricting flow and increasing the inlet pressure. A representative application for a back pressure valve is a multi-port spray station. The back pressure valve will work to maintain a constant setpoint pressure to all the spray nozzles, regardless of how many may be open at a particular time. 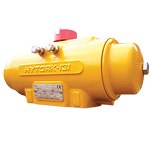 Both of these valve types are available in an extensive array of sizes, capacities, pressure ranges, and materials of construction to accommodate every process requirement. Share your fluid control challenges with a process control specialist. Combining your process knowledge with their product application expertise will produce effective solutions. Mountain States Engineering and Controls has added the Sterling Sterlco line of condensate pump, boiler feed pump, and temperature control valve products to round out its comprehensive offering of instruments and equipment for steam systems and process cooling. The Sterlco condensate pumps are available in simplex or duplex configurations, with pump and receiver capacity ratings to accommodate a broad range of industrial and commercial applications. Option selections round out the flexible product specification. Boiler feed pump units from Sterlco provide a similar extensive range of receiver and pump capacities, along with options to meet application specific requirements. The Sterlco self powered modulating temperature control valves are available in eight sizes and provide regulation of coolant flow to a machine or process. Their simple design provides rugged temperature actuated performance in a wide array of cooling applications. 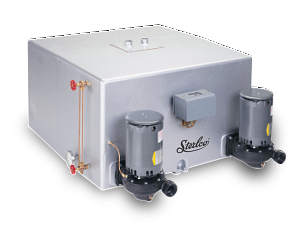 There is more to learn about Sterling Sterlco condensate pumps, temperature control valves, and boiler feed pumps. For the latest product information, or to work on a solution to your steam or cooling system challenges, reach out to an application expert and combine your facilities and process knowledge with their product application expertise to develop effective solutions.